To achieve career success, there are a few concepts you need to understand. Easy as it may sound, you need to understand them, and put them into practice - constant practice. Here are the 7 important points you probably never thought about when considering about your career. To achieve a successful career, first understand success. Learn about success and what it means. Success can mean different things to different people. It is a constant journey and never ending. Achieving something does not mean you stop there. Read about how others have achieved success they defined for themselves and how they got there. In the journey to success, you will face setbacks. So long as you do not give up, success is guaranteed. Sometimes, failure may mean success as it teaches you what not to do and what to do next time. Learn that commitment is important in your journey to success. First learn to keep promises to yourself. What have you committed yourself to do? How much effort have you put in? Make sure you keep the promises you give yourself. Also, remember to keep your commitment and promises you give others. Commitment of time, effort and money is important in ensuring that you get where you want to be. Be committed to your goals and go against all odds in pursuit of those goals. Remember that nothing comes overnight. Every worthwhile goal is achieved by people who are committed to them. I know the word "good energy" sounds like new age mambo jumbo to a lot of people. Good energy simply means being positive and not indulge in dark thoughts, feelings and bad actions. It means to think of good thoughts, do good things and speak good words. When you do all these, you will not be disturbed by the negativities generated by yourself and thus focus on your goals. When you generate good energy, you attract like-minded people. Together you can move to progress not regress. 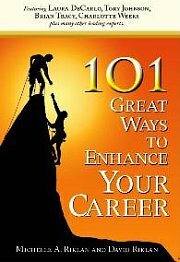 You will be able to develop your own fullest potential to achieve a successful career. Learn to soak up positive feelings that create strength to appreciate the joys of life. When you generate good energy, you appreciate life more and success comes easier. For work success to happen, you need to start from yourself. Look for ways to improve yourself, kick bad habits and learn good ones. Only by doing so can you increase your chances of career success. Also, remember that to improve yourself takes a very long time. Accept the pain when trying to improve yourself, eventually if you are committed you will become a better person and consequently someone better to work with. To achieve a successful career, do not waste time. Learn to understand the concept of time. You must remember the expression that time is long for the weary, short for the happy and dreadful for the scared. Thus, we may all have 24 hours but the actual experience is very different. When you procrastinate and spend it in an unproductive way, you lose out in your journey to find success. Time is needed to improve yourself; time is needed for effort in pursuit of your goals, and time is needed for realization of your commitments that drives you towards those goals. Understand how YOU waste time, so you may realize and put it to better use. Interestingly, from my personal experience - learning to give helps greatly in pursuing career success. Giving can be in the material sense or it can be immaterial. Giving immaterial things includes effort, time, praise, and good words, and you can be give good conditions in order to help others succeed. At work, give people chances even when people make mistakes or give people chances to shine. Giving makes one unselfish, and we learn to understand that when we hurt others we hurt ourselves. Learn to feel happy for others and their success and not be jealous about it. When we help others we build paths for our own success. Career success is a very long journey. On this journey, you need courage to be optimistic, positive and filled with hope. Remember, however tough this journey is, there is light at the end of the tunnel. Courage is the driving force to plough on and keep pushing. Learn not to fear as fear can be overcome by wisdom and experience. Bad things are never permanent and will eventually go away. In your journey towards a great career, have the courage to be patient and persistent. Eventually, those who do not give up wins the day. It’s no big secret that you are the creator of your own success. Here are 4 reasons why. What are the attitudes in the workplace that helps you pursue a successful career? There are many factors that determine your success. What is the key success factor that ensures your dream of success is alive? This is Part 1 of the 9 crucial things you need to know for a successful career. This is Part 2 of the 9 crucial things you need to know for a successful career. This is Part 3 of the 9 crucial things you need to know for a successful career. You should know what success recipe you would choose once you have decided on your success dish. Here are the key ingredients you will need. Your success recipe is made out of many components. You should know by now what success dish you want to cook and the key ingredients needed in this success recipe. Enjoying the process a great career is the next step. Do you know what it takes in this process and what is the success recipe? 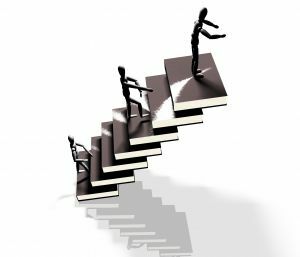 Striking a balance while pushing for a successful career is the last part of your career success recipe. For more articles on career success, click here.